�Custom high quality vinyl decals. 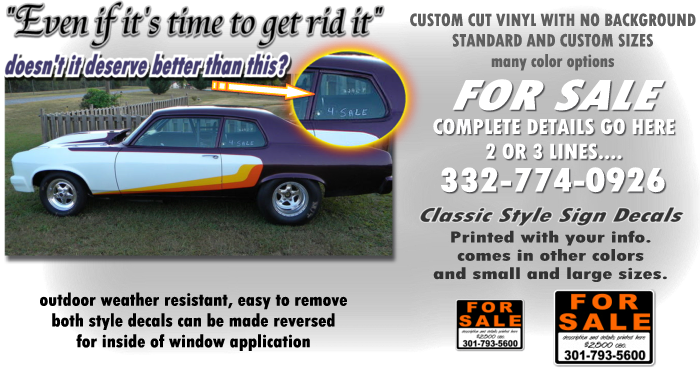 FOR SALE decals are a great way to advertise about anything. Great for car, truck shows, boats,RV's. They give a nice apperance and can be removed easy. Comes in many bright colors. Out door weather resistant vinyls. We have moved this decal design to our live designer website, where you can enter the text you want on the decal and preview it before you buy it. Click this text to go to the sales page.